A BRAND NEW LEUMEAH HOTEL! Leumeah Hotel has proudly been the watering hole for the local community for almost 50 years but exciting changes have meant that the old girl has been given a face lift! Our recent major transformation has delivered a brand new local for the Leumeah community. The new pub features a contemporary public bar, sports viewing & TAB experience, refreshed outdoor spaces, upgraded VIP Lounge and last but not least, a brand new pub bistro serving great value, quality food. Our venue focuses on providing our customers with exceptional service and great experiences each and every visit! The newly renovated Leumeah Hotel features a central bar that serves quality traditional and craft beers and a great selection of spirits and wines. Enjoy your drink of choice in any of our brand new areas, including main bar, lounge areas, TAB sports vand racing bar, all-weather outdoor beergarden garden or dining areas. Leumeah Hotel's brand new pub bistro features a quality bistro and bar menu, both offering great value for our customers. The bistro menu includes a fine mix of great pub classics and contemporary favourites, whilst the bar menue features some great lite bites and convenient options. Take a break to come and enjoy our lunch specials. Choose from a 250g Rump Steak, Chicken Schnitzel, Fish & chips or any burger with a drink for just $15*. Sink your teeth into our 250G Rump Steak and enjoy a drink for just $15* on Monday night from 5pm at the Leumeah Hotel. Cheap Tuesdays are on at Leumeah Hotel with $15 burgers and your choice of drink from 5pm*. *$15 members pricing, tap beer, house wine or soft drink only. Celebrate Hump Day with $15 Schnitzels from 5pm with a drink*. Sick of cooking? Head into Leumeah Hotel for our mouth watering Sunday roast for only $20* all day! Come down to Leumeah Hotel on a Wednesday from 10am for your chance to jag the joker and win the weekly cash jackpot! Publinc members simply purchase any drink to enter from 10am to 7pm. It's free to join. Drawn at 7pm but you must be present to win. 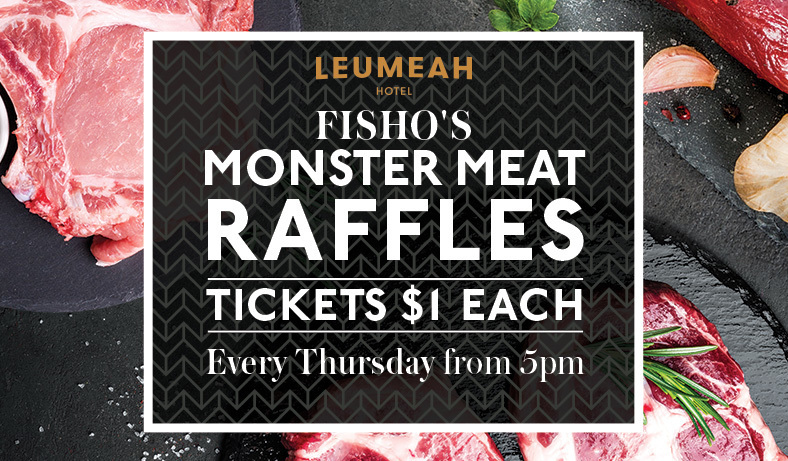 Try your luck every Thursday to win one of our Fishing Club's meat raffles. Tickets are on sale from 5pm. Get your thinking caps on and your group together to head to Leumeah Hotel Trivia nights every Thursday from 7pm. With free entry and great prizes to be won you don't want to miss it! Join us every Friday for our weekly members draw from 6pm-7pm. Simply scan your members card on the kiosk to go running to win. 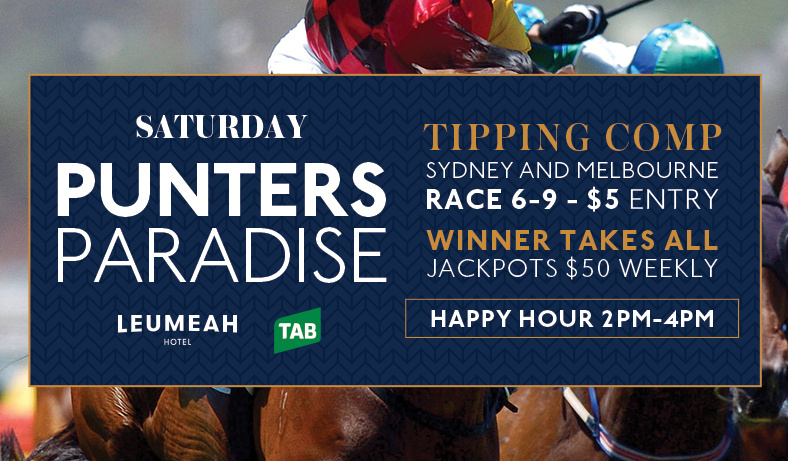 Join in on the Leumeah Hotel Saturday Tipping Comp. Simply back the correct four horses in Sydney and Melbourne race 6-9 to take home the jackpot! Join in on the ANZAC Day festivities at Leumeah Hotel. With 2 UP, live music and the ANZAC match live and loud on the big screen Leumeah will be hosting the best ANZAC celebrations in Macarthur. Join us at Leumeah Hotel for all of the UFC 237 action LIVE and LOUD on the big screen! With three huge fights lined up you don't want to miss it. Purchase a drink during any live NRL game for your chance to win exclusive access to the couches for the State of Origin matches, tray service and complimentary food for you and 7 mates. Winner drawn each Sunday before the Origin matches. Leumeah Hotel remains committed to being proudly local and supporting the community. Through our Publinc loyalty program we are giving customers the chance to help us give back to local community groups. Simply join the Publinc program and earn points when you use your card during gaming play or when making food and beverage purchases. For every point you earn, we will match it with one community point when you pledge online. Love your local and get acquainted with the perfect space for your next event at Leumeah Hotel. The venue boasts outdoor or indoor dining areas ideal for up to 100 people. Leumeah Hotel is an official Publinc venue. 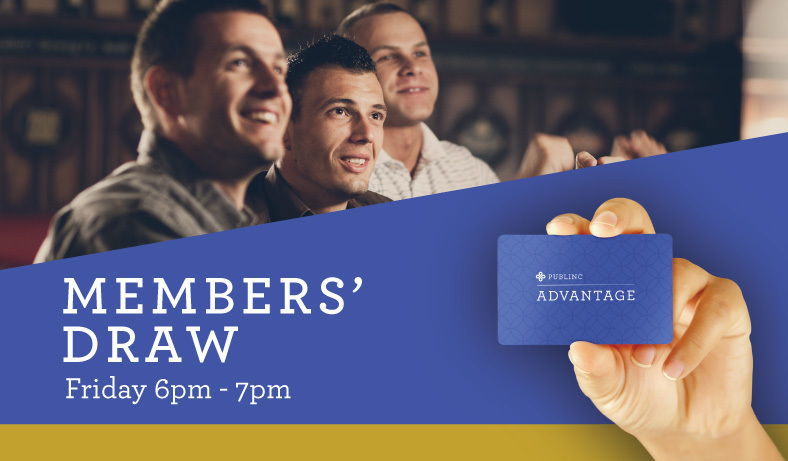 Publinc Advantage membership is your key to access great benefits every time you visit Leumeah Hotel and 21 other venues across Sydney. Leumeah Hotel is home to one of Sydney's premier VIP Lounges. The outdoor Dragons Den is open till late, 7 days a week. Our hosts are committed to ensuring your experience is always exceptional. Leumeah Hotel is proudly an official Publinc venue. The Publinc progran provides its members with great benefits, rewards and exclusive access to promotions at over 22 locations in NSW. Leumeah Hotel's Liquor Stax bottle shop offers a great range of products and excellent value for money. Our team of knowledgeable staff are ready to help you find exactly what you need, every time. Look out for our red hot weekly specials and offers. When you work for the Leumeah Hotel, you're part of the family. We are one for all and all for one in our commitment to deliver exceptional customer service and experience. You’ll work in a culture driven work environment in a multifaceted hospitality business. Your experience will not just provide you a job, but a platform from which to launch your Hospitality career. If you are interested in a career in this exciting industry, contact us today.